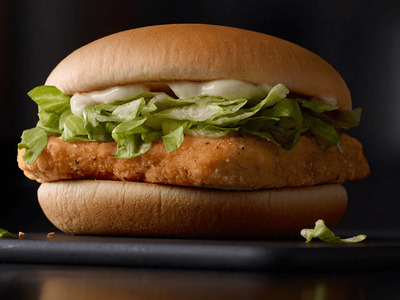 McDonald’sMcDonald’s McChicken sandwich is served with a mayonnaise sauce, but you can’t get the condiment separately. McDonald’s doesn’t offer packets of mayonnaise in its restaurants. Fans of the condiment have taken to social media to complain. McDonald’s said it has no plans to offer these products at the moment. McDonald’s customers want more mayonnaise. Irate condiment lovers have taken to social media and launched a petition urging the chain to offer mayonnaise packets in its restaurants, Cosmopolitan reported. In a statement to the press, McDonald’s said that it doesn’t offer the condiment in separate packets because the demand just isn’t there. “What we offer in our restaurants is based on customer demand. We don’t currently have any plans for mayonnaise to be made available,” a spokesperson for McDonald’s said. At the moment, the sauce is served in meals such as the McChicken sandwich, but customers apparently want to have the option to dunk their fries in mayonnaise as they please.